Jac Berrocal, David Fenech, and Vincent Epplay return with Ice Exposure, their second album for Blackest Ever Black. A sequel and companion piece of sorts to 2015's Antigravity, its title couldn't be more apt: sonically it is both colder, and more exposed -- in the sense of rawer, more volatile, more vulnerable -- than its predecessor, capturing the combustible energy and barely suppressed violence of the trio's celebrated live performances with aspects of noir jazz, musique concrète, no wave art-rock, sound poetry, and spectral electronics all interpenetrating in unpredictable and exhilarating ways. While there are moments of great sensitivity and even a cautious romanticism, the prevailing mood is one of anxiety, paranoia, and mounting psychodrama: close your eyes and Ice Exposure feels like a dissociative Hörspiel broadcasting from the seedy backstreets of your own troubled mind. 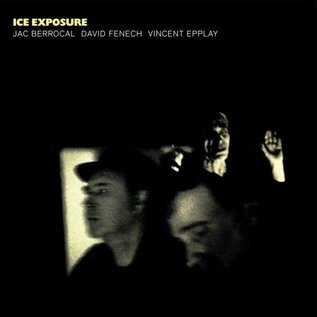 Ice Exposure is a triumph of a group mind, an underworld dérive as life-affirming as it is unnerving and psychologically precarious.